EDITOR'S NOTE: This is part one of a two-story series by Automotive News Canada that examines how BlackBerry has shifted from cellphone giant to auto tech company. You can read part two here. BlackBerry’s growing footprint in the automotive sector is key to the company’s turnaround efforts as it transitions away from smartphones and seeks more joint ventures with automakers and parts suppliers. “Are we making partnerships with other companies? Absolutely,” said Kaivan Karimi, head of sales and marketing at BlackBerry Technology Solutions. The strategy could be paying off. In the quarter that ended Nov. 30, the Waterloo, Ont., company reported net income of C$59 million ($44 million U.S.) on revenue of C$226 million. That’s up from a net loss of C$275 million a year earlier. The company’s next quarterly report comes this month. Some of the gain was due to growth in its BlackBerry Technology Solutions unit, which includes its QNX automotive software and radar products, which helps the trucking industry manage its fleets. Revenue in the automotive unit surged 23 percent to C$53 million on the quarter. Karimi said BlackBerry is beginning to reap the benefits of partnerships with companies, such as Jaguar Land Rover as well as investments, including the 2010 acquisition of QNX, whose software is in about 120 million vehicles globally. Last year, BlackBerry made a flurry of announcements including the launch of Jarvis, a cloud-based cybersecurity product that can identify security flaws in code used in automotive software. BlackBerry also signed an agreement with China-based Internet giant Baidu, which will be used QNX in its autonomous-driving system. 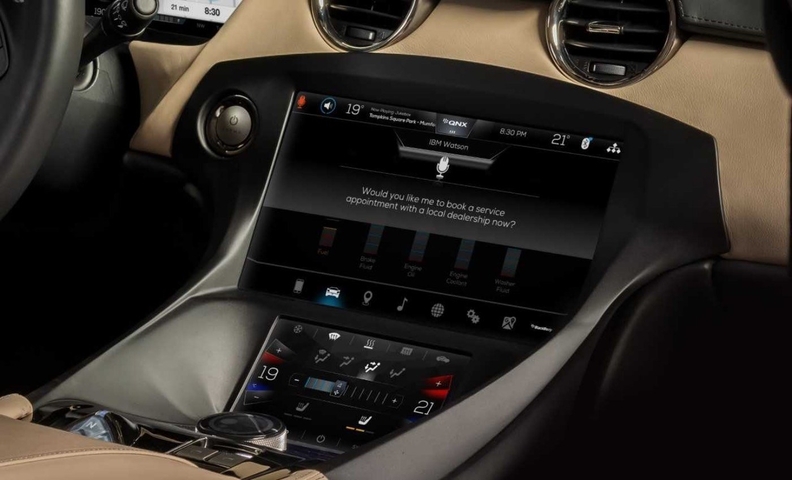 Karimi said he anticipates BlackBerry inking more deals with automakers and suppliers in the near future as those companies invest significant resources into connected vehicle and autonomous technology research and development. He said BlackBerry has leveraged its reputation for security in other sectors, including the medical space, to help prop up its automotive business.